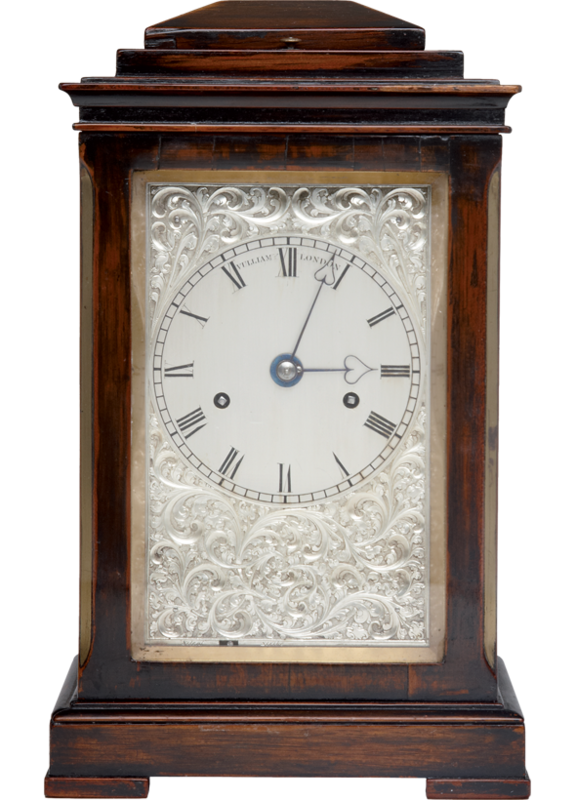 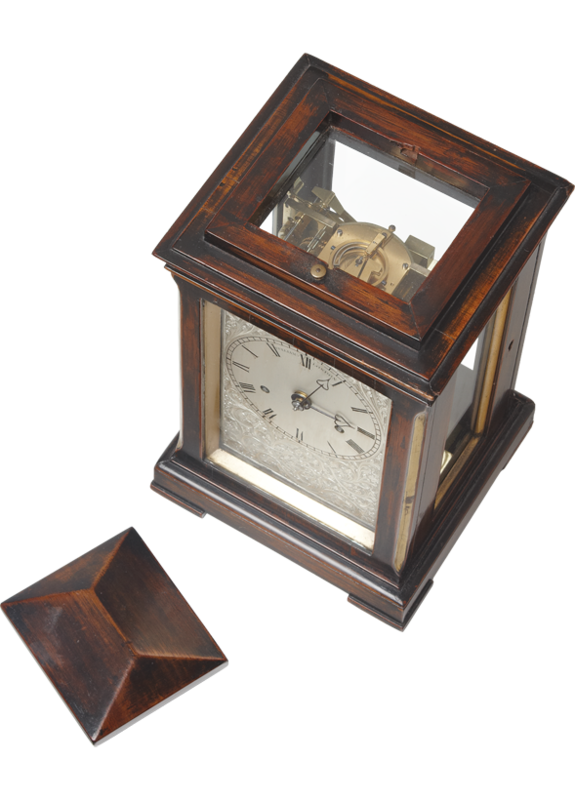 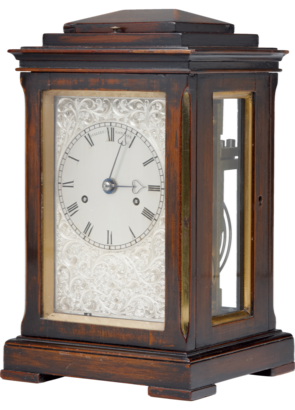 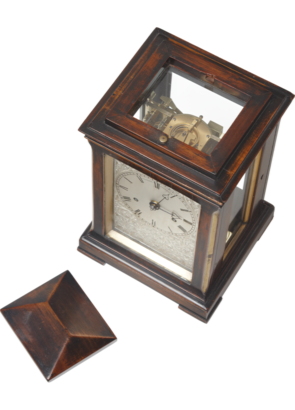 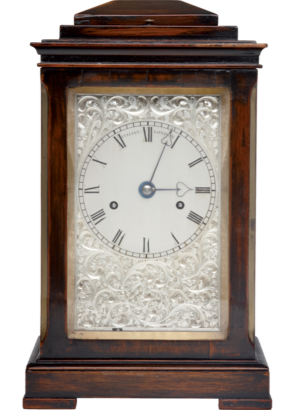 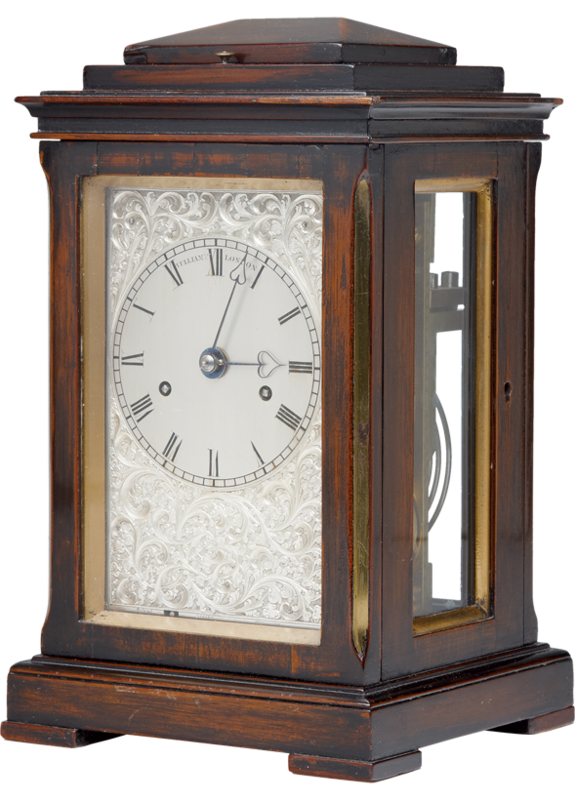 A small and very fine early 19th century mahogany mantel clock by this important Royal clockmaker of classic form and proportions. 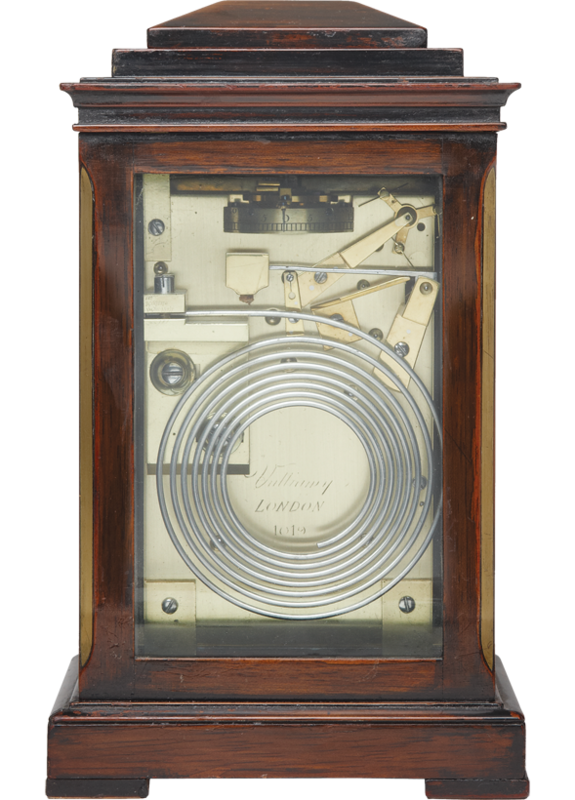 The chamfered top sliding off to reveal the platform lever escapement, the 8 day movement with twin fusee and striking and repeating the hours on a coiled steel gong. 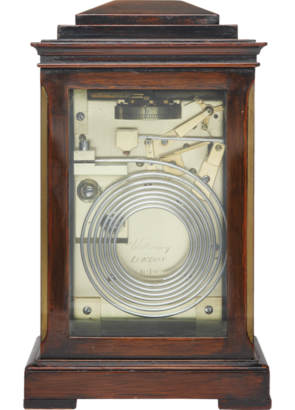 The finely engraved silvered dial with a strike/silent lever, fine hands and makers signature, the signature and number repeated to the backplate.